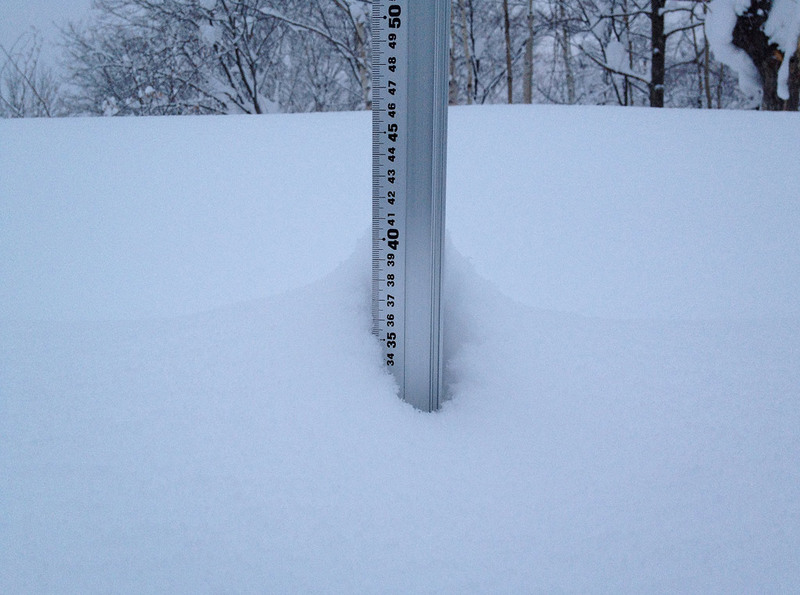 *25cm of fresh snow as fallen in the last 24hrs in Hirafu Village. At 07:00 today the temperature was -3°c. The snowfall is expected to continue throughout the week and the opening of Niseko Hirafu this Friday 23 November will be epic! The relentless task of snow clearing for the next 4 months or more has begun! Just checked with the Rhythm Snowsports team and the live cam will be up and again soon. Stay tuned! We love you blog!! Traveling as family of 5 to Niseko in 2 weeks. Your recent posts have us smiling all day!!! Thanks for the support! It’s good to know we’re making people smile. Have a great stay in Niseko. Pingback: J-SEKKA | Latest news – Snow is falling! Love it!! Be there the 24th Dec, keep the great updates coming!! We want a early season like last year! !